SEMANA NACIONAL DE ACTUALIZACIÓN: MATERIALES Y RECURSOS. 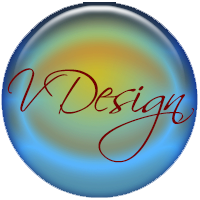 Posted By: VDesign Co. - 7/22/2018 11:19:00 a. m.
6. ACUERDO NÚMERO POR EL QUE SE ESTABLECEN LAS NORMAS GENERALES PARA LA EVALUACIÓN DE LOS APRENDIZAJES ESPERADOS. 7. ACUERDO POR EL QUE SE EMITEN LOS LINEAMIENTOS DE AJUSTE A LAS HORAS LECTIVAS. 8. ACUERDO 11/05/18 - LINEAMIENTOS PARA EL DESARROLLO Y EL EJERCICIO DE LA AUTONOMÍA CURRICULAR.